Evergreen shrub for a hot, sunny spot. 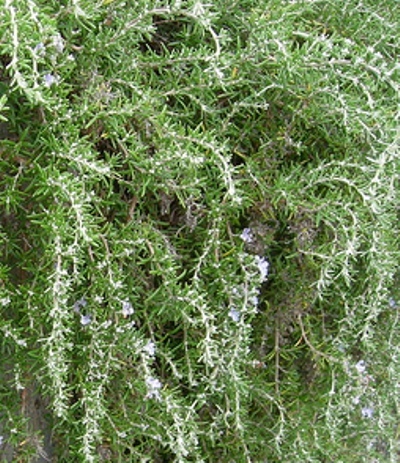 After a year of regular water, rosemary is extremely drought tolerant, and low-maintenance. The leaves are considered an essential herb for flavoring a variety of culinary dishes.